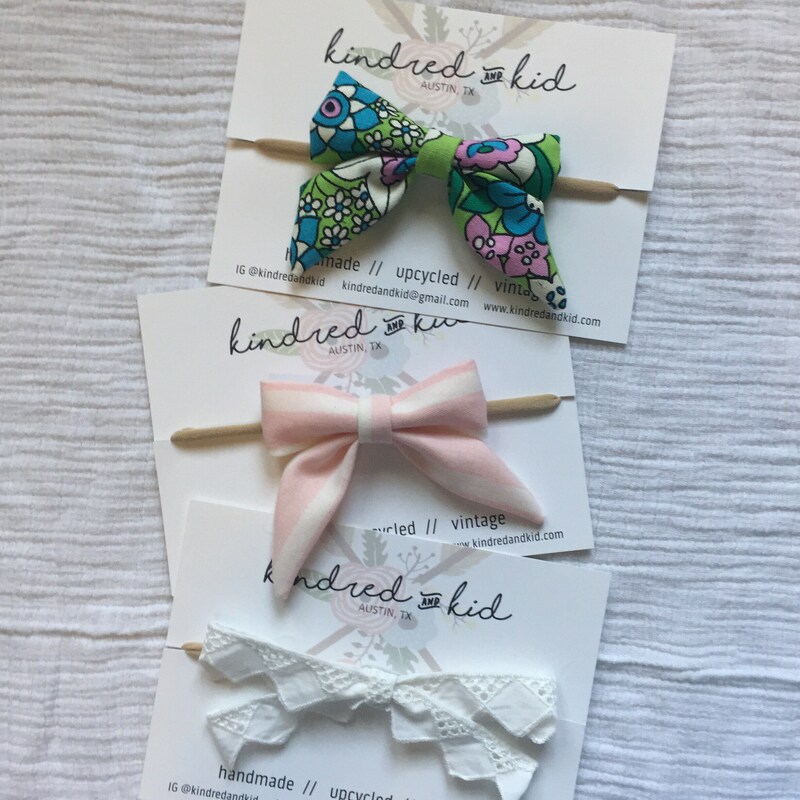 Darling sailor style hair bow for babies and toddlers - choose either a one size fits all soft, stretchy nylon headband or an alligator clip hair bow. Bows are approximately 5 inches by 3 inches and made using upcycled vintage fabrics. Matching bibs and bloomers available!